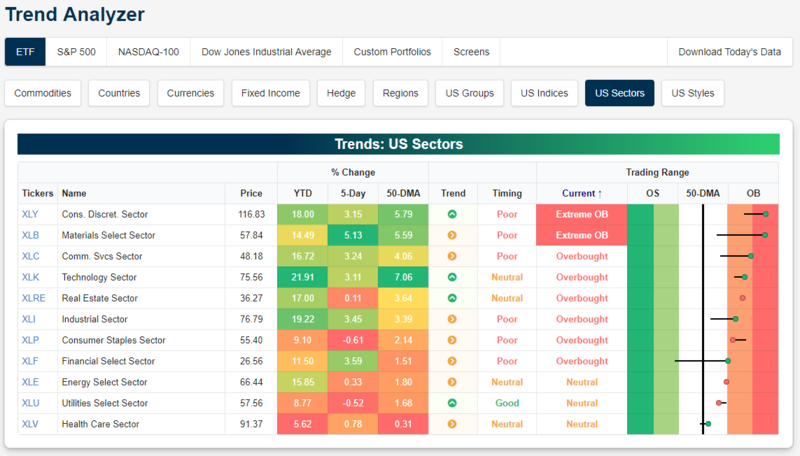 Below is a quick-and-easy way to see where US sectors are trading using our Trend Analyzer tool (available to Premium and Institutional members). 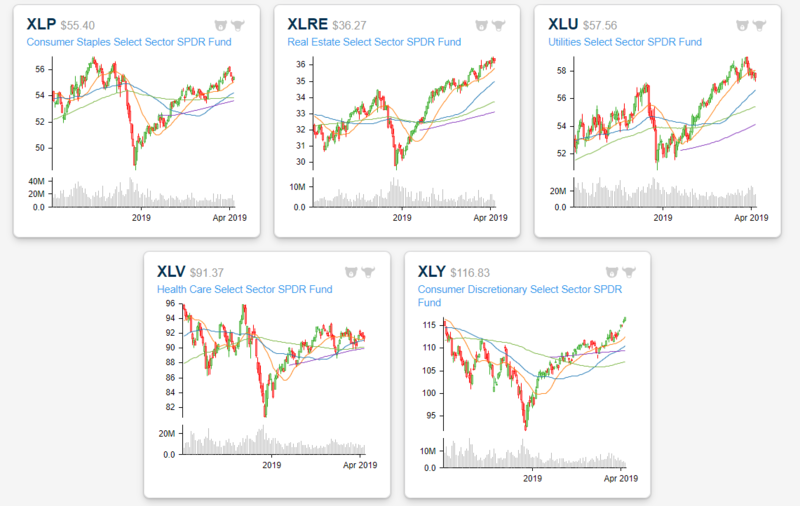 As of this morning, the two most overbought sectors were Consumer Discretionary (XLY) and Materials (XLB), which are both trading in extreme territory (more than two standard deviations above their 50-DMAs). Every single sector is back above its 50-day moving average as of this writing, but Health Care (XLV) is barely hanging on above its 50-DMA and is lagging pretty badly. After viewing sectors in our Trend Analyzer tool, you can take a deeper dive into each one with our Chart Scanner that’s available to Institutional members. 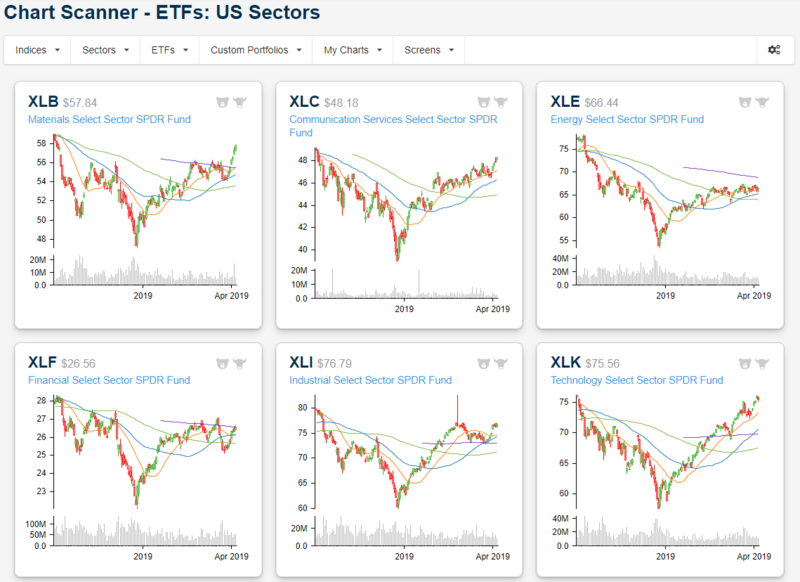 Below are screenshots of US sector ETFs from our Chart Scanner this morning. You can see that Materials (XLB) has experienced a massive breakout this week above a tight sideways range it had been in over the last month or so. The next stop for Materials will be new six-month high if it can keep up the momentum. Consumer Discretionary (XLY) has also been rallying and now sits in extreme overbought territory. Another day of gains and Consumer Discretionary will make a 52-week high.